While my phone charges, I’m usually trying not to fall off the couch as it stays connected to the outlet. If I had this nifty doo-dad, I could be burning calories while I wait for my favorite device to juice up. 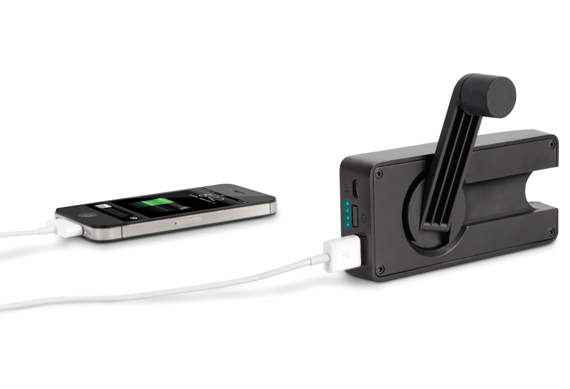 The Hand Crank Emergency Cell Phone Charger converts one minute of hand cranking into 30-second bursts of emergency power for a connected cell phone. Ideal for placing an essential call or sending a text when a cell phone’s battery is nearly depleted, it will work with most phones and guarantees a good workout.